Here's the new issue. I think you will be surprised on how many articles we have for you this week. The FCC is after Jonny 2X4 after yesterday's show. Jonny apparently ran around naked with only Plank covering him. The FCC says that it was extremely irresponsible for Jonny to do this especially when young children are watching the show. Jonny was quoted saying this while running around naked. "Feel the wind Plank!" The Eds say that they werent disturbed by Jonny's behavior in the slightest. Eddy: "We have come to expect this from him because he is the biggest weirdo ever." The JBC had this to say in Jonny's defense during an interview with the FCC. Justin: As the editor for the JBC I see nothing wrong with this image. I mean no body parts are being shown at all. FCC: Well still that is very immature behavior that is very unsuitable for young children. Dr. Eric: Once again no body parts are shown. As you can see there isnt anything. I really dont think that children are going to run outside naked. Justin: Jonny has always done stupid things. For example, when Jonny crashed on a bike, where were you guys then? FCC: Were not on that event. Were on this event. Justin: Ive heard enough why dont you go focus on the Super bowl incident? A cruel prank was played during the night while Peach Creek slept. Sometime during the night some mysterious person stole Jonny's beloved friend Plank. He was found later nailed to a nearby fence with the words "melon head" spray-painted over him. After safely retrieving his friend and cleaning him off Jonny reported this crime to his parents, who then called us. "I'm here with Jonny and Plank here at the scene." "And what do you think about this Jonny?" "I say it's some guy's idea of revenge, Plank didn't see them but we bet we know who did it. " 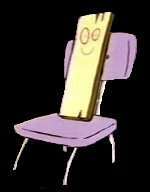 "Plank says Eddy did it." "He always gets mad when we ruin his scams, and he always calls Melon-Head." "I see, well I hope you find whoever did this." Eddy couldn't have done this to Plank because at exactly the time Plank was taken Eddy was spotted in his bedroom fast asleep by a JBC personnel who is sent to monitor Eddy and everything he does. "I dont think Eddy did it." 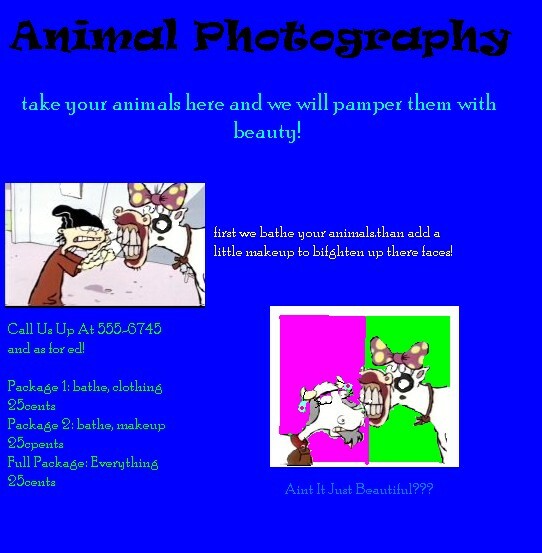 Says Daniel B. a photographer for the JBC. "I was watching him all night to see if he did anything worth taking a picture of." There are no other suspects left because the Kankers were out of town visiting there Dad Butch. Who is responsible for this crime? No one really knows but Jonny assures us that the culprit will be found. "His brain is falling out!" Early this morning the cry rang out throughout the neighborhood. Apparently, after being hit by a baseball in the head, Double D was knocked out. Being the only one in the area, Ed immediately took action. Hauling the unconscious Double D to his house he began stuffing potatoes in his ears. When asked "why he was doing this, Ed replied, So his brain doesnt fall out silly!" We would have stopped this strange site, had it not been strangely amusing. 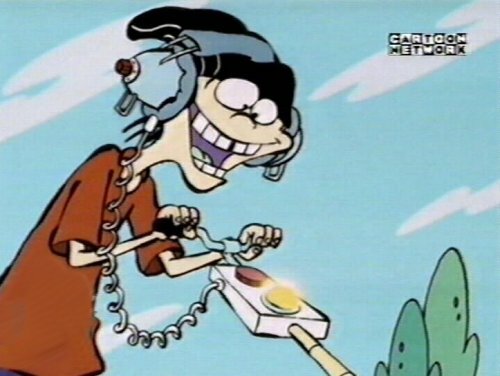 After filling Double D's ears completely with potatoes, Ed went off to seek further help from Rolf. Seizing the opportunity to save Double D from real harm, we grabbed him and ran. After two hours recuperating in our near by field outpost, Ed was able to return home. Feeling otherwise fine, his only complaint was that he felt as if something was stuck in his ears. Business people of Peach Creek have designed the new caffeine-free sports drink called lightning-gizer. The drink has been a big hit in peach creek. Selling for a price of only 99cents. This drink has many electrolytes, along with 100% vitamin C supplement and many different flavors like blobbo-berry, runaway-grape, unwanted-apple, and tropical-kaboom. I interviewed with some of there biggest buyers of peach creek. Connie: So Kevin, Tell me about your favorite flavor of lightning-gizer. Kevin: Runaway-Grape is my favorite. It keeps me up and running on my bike and has me tempted to focus on the road. Connie: Jimmy tell me why you like this product. Jimmy: Well, I like it because it relaxes my brain and helps me focus. Its better than the Ed's sports drinks! Yuck! Connie: Nazz, tell me how this drink helps you. Nazz: I bring this drink to my dance class. My favorite flavor is tropical-kaboom! It helps me in my dance class for having more energy and to feel fit and ready to dance. As you can see, this product is almost a top seller! After last week's incident a poll was taken on Ebay where Eddy was supposed to be sold. After many hours of going through all of the bids it was calculated that Eddy could have been sold for over 12,000,000 dollars! A total of 500,000 fans bidded on Eddy for two days before he was rescued by authorities. Eddy was quoted saying this after he heard how much he could have been sold for. "What!? Why didn't you just let me be sold? I could have been rich!" Eddy was quite pleased to be rescued and happy that he wasn't sold for millions of dollars. The criminals are being sentenced to three years in prison for kidnapping. A new charge has come up called attempting to auction which requires one year in prison. Eddy was worth millions to his fans but yet he doesn't have a dollar to his name. Rumor has it that Eddy is currently dating JBC reporter, Lynn. And who started this rumor, no one knows. But I'm sure it was someone trying to embarass either Eddy or Lynn or both of them. I have my doubts but I think Kevin started the rumor, since he is prone to taking actions like that. But luckily I was able to interview Ed and Edd, to ask them if they believe the rumor is true. Connie: So, Edd and Ed, do you believe that the rumor is true? Edd: Well, I can't say no and I can't say yes. the truth is, I really don't know. Ed: I forget what we are discussing, but can i have a bun? Connie: You haven't noticed any change in Eddy's behavior or anything? Connie: oh ok. Not even seeming alot happier? Ed: uh what do i have to pay? i only have a penny! Edd: I don't think he would be too pleased with that. Connie: Well, if you dont get caught, you could. Edd: I don't think that would be necessary anyway. Ed: oops you forgot about the ketchup! Connie: Well thanks for your time, guys. That's all for now, next time I'll interview Kevin.